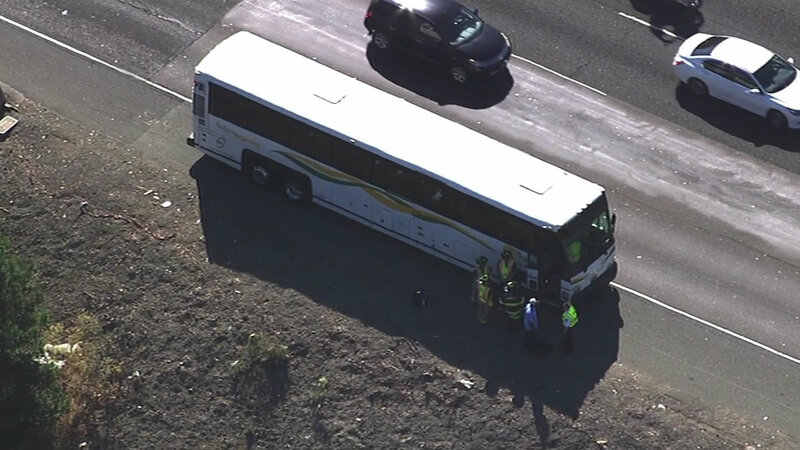 PINOLE, Calif. (KGO) -- At least eight people have been transported to a hospital after a bus crash on Interstate Highway 80 in Pinole this afternoon, according to the CHP. The collision was reported just after 4 p.m. when a transit bus collided with a Honda just west of Pinole Valley Road. At least eight people were taken to a hospital on complaint of pain. Further details were not immediately available.